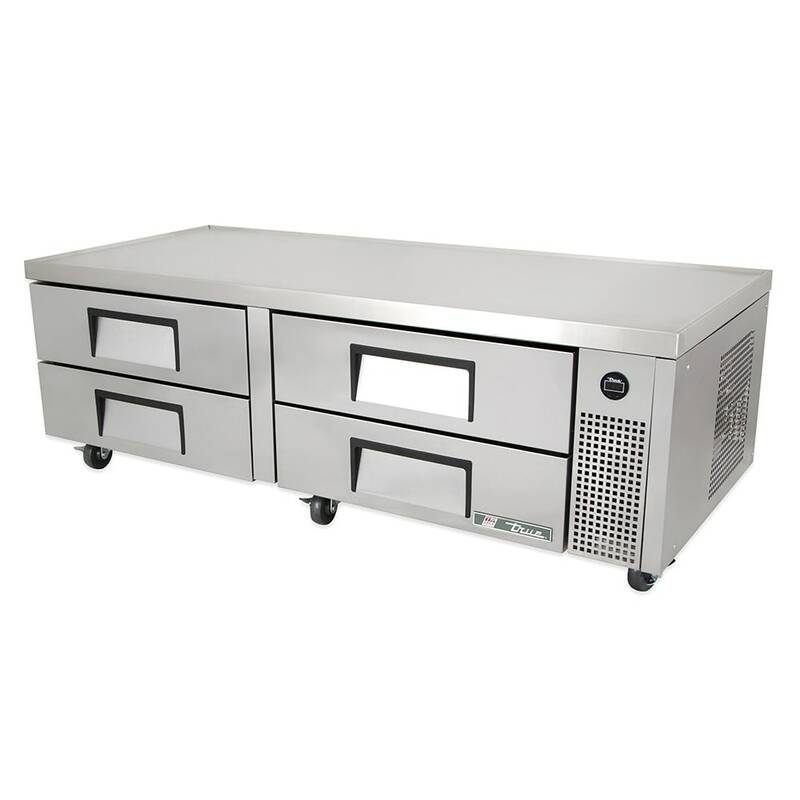 The True TRCB-72 refrigerated chef base offers a functional combination of equipment stand and cold ingredient storage. 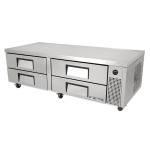 This unit is designed with a one-piece top capable of supporting up to 1,084 pounds of equipment and features durable stainless steel exterior construction with an aluminum back so it can withstand heavy-duty commercial use. The base offers four drawers of cold storage, with each drawer capable of holding two full-size food pans, which must be purchased separately. The interior of the refrigerated base is outfitted with a clear-coated aluminum liner. This unit uses a self-contained, capillary tube system with 134A refrigerant to provide forced air refrigeration that maintains temperature between 33 and 38 degrees Fahrenheit. The current temperature can be monitored with an external display. Heavy-duty, one-piece top supports up to 1,084 lbs.